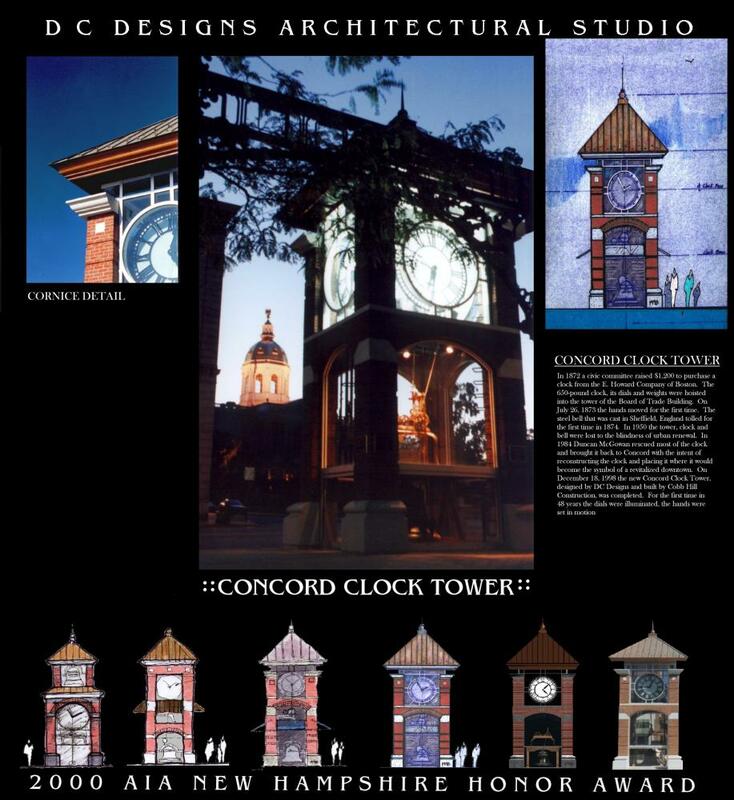 Located on Main Street across from the State House the new Clock Tower glows like a beacon in the dark inviting all too view it’s ever moving interior of shining gears, sprockets, cogs, chains and automatic winding mechanism. 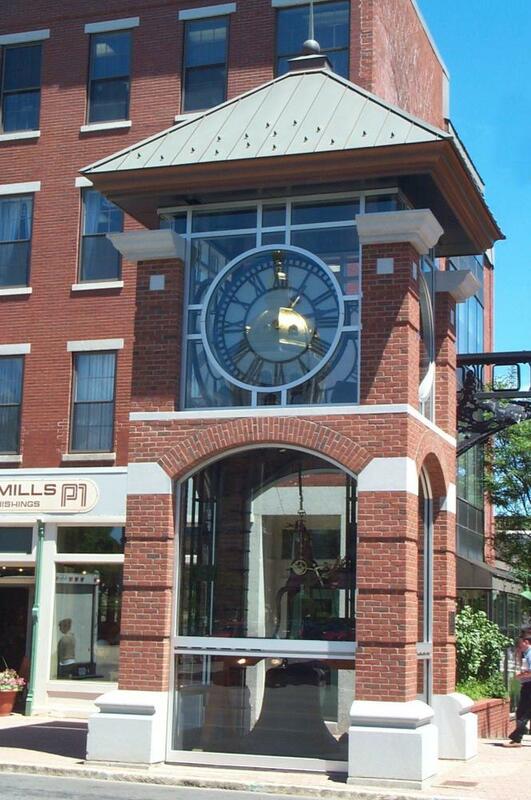 Originally located atop the board of trade building across the street, the clock was installed around 1872. 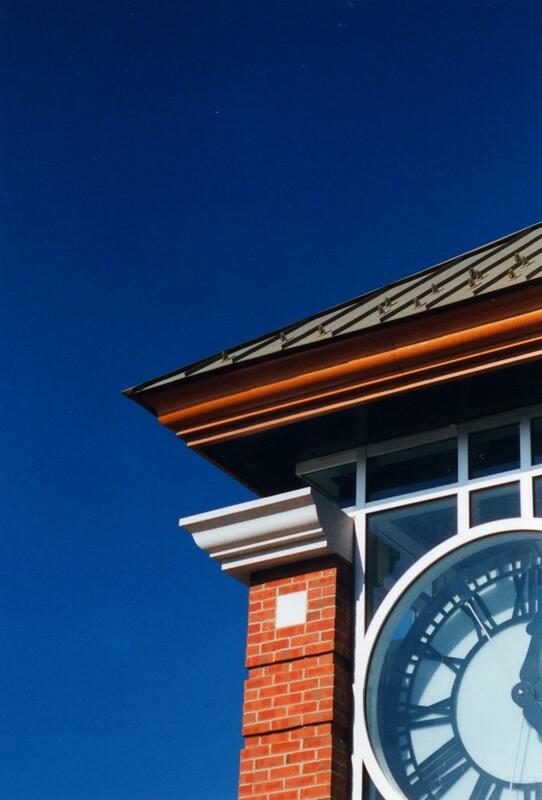 In 1950 the building’s top two floors were removed and the clock and Bell were lost. Then in 1984 Architect Duncan McGowan began bringing the components back together. The Bell was found in a Michigan flea market. 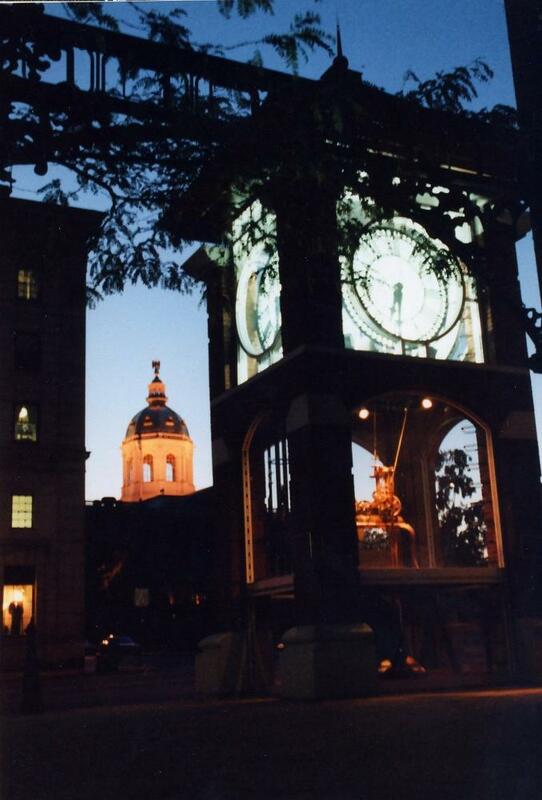 In 1997 Dr. Horace blood lead a fund-raising effort for the restoration of the clock and Bell. 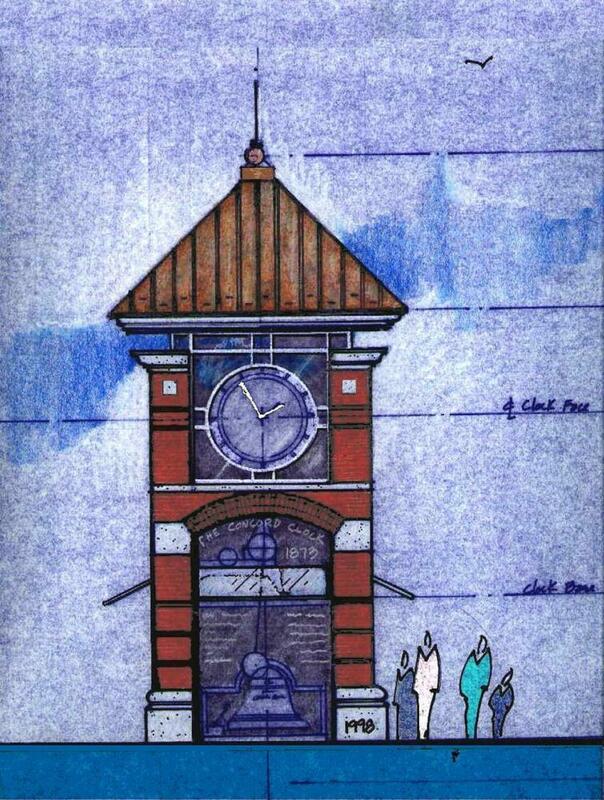 The design challenge was to showcase the clock mechanism and Bell so that visitors to the city especially children could view the working mechanisms and to design this showcase as an architectural element which would complement its surroundings. 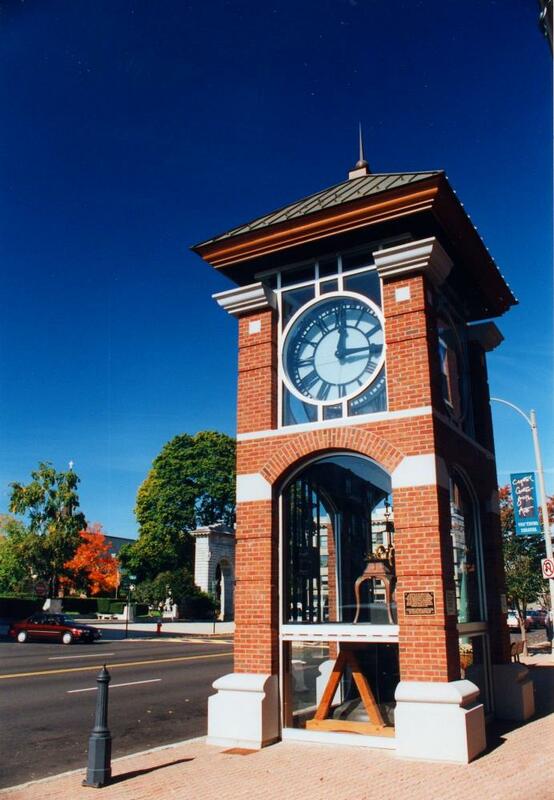 The tower marks the entrance to Eagle Square. 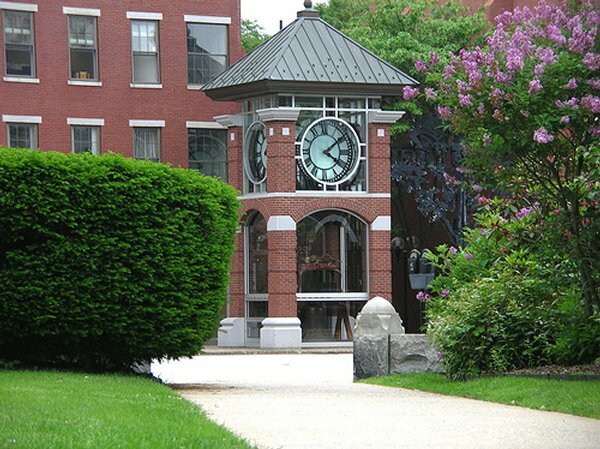 The E. Howard Clock of Co. of Boston built the clock mechanism; its four clock faces are comprised of 6 ft. diameter double frosted glass for light diffusion, installed in a black iron Roman numeral frame. TheBellis solid steel forged in Sheffield England and weighs over 2000 pounds. The cradle, which supports theBell, was crafted out of 150-year-old heart pine salvaged from an old area barn. 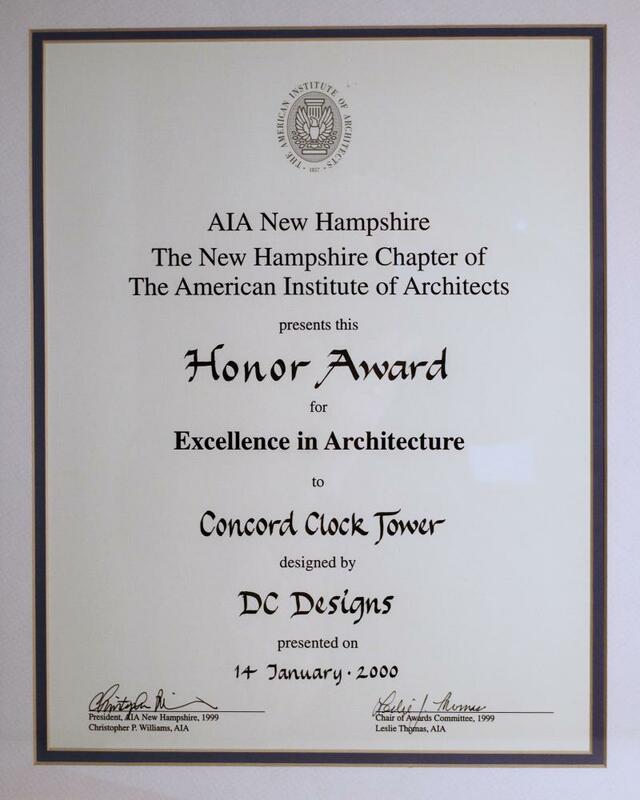 AIA NH HONOR AWARD for Excellence in Architecture.